There were no real expectations going in to see Venom. Having seen only one trailer, there wasn’t much to go on besides the fact that it was a story divorced from anything having to do with Spider-Man. But with an excellent cast, it had some potential. After seeing the film, it’s clear Ruben Fleischer’s vision, and by extension Sony’s, for Venom is imbalanced. It could honestly end up being one of those films that becomes popular over time, but as a standalone movie it’s not good despite some of its unexpected entertainment value. 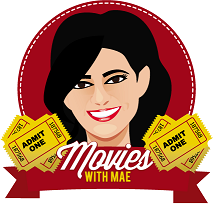 The film is an origin story, in which Eddie Brock (Tom Hardy) used to be a revered journalist and in trying to get his job (or at least his reputation) back, he’s desperate enough to take a lead from Dora Skirth (Jenny Slate), a scientist who works for Carlton Drake (Riz Ahmed), a man who’s been experimenting on the symbiotes and believes the next step is for the humans to be hosts to these vastly more intelligent alien creatures. Before publishing any kind of story, Eddie is “taken” by a symbiote named “Venom.” They spend most of the movie escaping Drake’s goons, but it isn’t too long before they have to fight another symbiote in order to save, you guessed it, the world. Venom is funny, probably unintentionally so. The story is thin, the characters are largely one-dimensional, the first half slow, and there isn’t enough setup leading into the third act, which suddenly declares that Eddie and Venom must now save the world together. It’s all a bit ridiculous and incredibly cheesy (though not in a particularly good way). The film isn’t unwatchable despite all its obvious problems. Listening to Venom’s commentary is like sitting through a weird movie experience where the audience won’t stop making comments about the events unfolding onscreen. He won’t stop talking and his banter with Eddie is primarily what fuels the film’s energy. Unfortunately (for all of us), Riz Ahmed’s character is a one-note villain. He’s the stereotypical immoral and unethical scientist/businessman whose vision is greater than his problematic experiments. There’s absolutely no depth to him and his crusade to rebuild humanity is a stretch given the outcome of the third act. There’s never a moment in the film that’s actually and truly threatening, mainly because the moments themselves don’t last very long and are only used to get from point A to point B. Carlton Drake and Eddie Brock interact for a couple of minutes throughout the entire film and it’s disappointing. 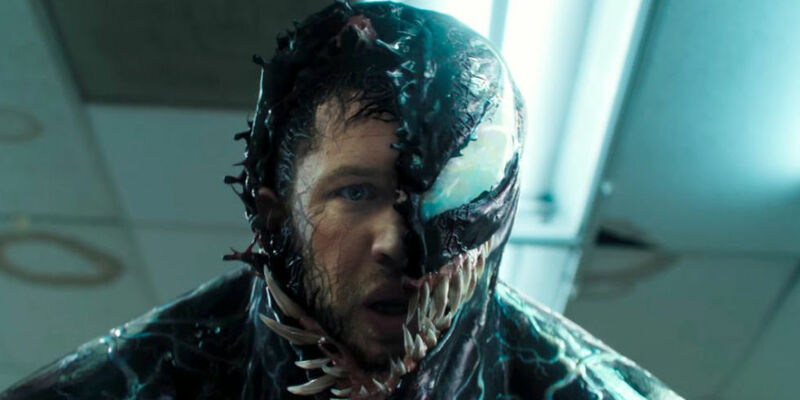 Tom Hardy’s performance as Eddie/Venom is unequivocally the highlight of the film. I’m not sure what Hardy was trying to go for, but it manages to keep the film afloat. Based on his accent alone, perhaps even Hardy didn’t know because it’s a mix between a not-really-New Yorker accent and speaking sluggishly. It’s a love/hate relationship between Eddie and Venom. One minute Venom is threatening Eddie and seeking his cooperation and the next they’re buddies making rules for cohabitation. It’s bad, but it’s also strangely funny and I found myself laughing far more than expected given that Venom is probably meant to have had a much darker tone than it does. But this is because it’s tonally inconsistent and struggles with marrying the darkness of Drake’s experiments versus everything happening with Eddie. Venom is an old-school superhero film and it often isn’t clear if this was the intention all along or if, somehow, it just turned out that way. Michelle Williams and Jenny Slate’s characters get the short end of the stick, the plot is messy and all over the place (even though it’s fairly straightforward), and by the third act you’ll be scratching your head wondering how the film went from one point to another in a rushed finale. Venom won’t be going on anyone’s best lists for 2018, but if you intend to see it anyway, see it with the expectation that you won’t be getting much out of it but a few laughs, a very lively performance from Hardy, and an incredibly forgettable story. Venom won’t be going on anyone’s best lists for 2018, but if you intend to see it anyway, see it with the expectation that you won’t be getting much out of it but a few laughs, a very lively performance from Hardy, and an incredibly forgettable story.